QUARTIER FRANÇAIS - WAREHOUSE DISTRICT - CONVENTION CENT - MAISON DE LUXE - PRES DE TOUS! Notre maison est entièrement sous licence et conforme à toutes les ordonnances de la ville. Notre numéro de licence est 17STR03783. Tous les trois salles de bains sont salles de bain complètes avec armoires personnalisées conçu de cyprès et les comptoirs. Tous les draps sont fournis en plus complémentaire de savon / shampoing / conditionneur. What a wonderful home. We had 3 couples and we’re in no way crowding each other. The amenities were great and the hospitality second to none. Sam was a gracious host and checked in on occasion to ensure we had everything we needed. In addition, thank you Miss Pat got working with us to gain access. Big storms couldn’t stop her. Wonderful restaurants were within walking distance. Not to mention a cute little market for you could need. Oh yeah. New Orleans was great to. Great place and location. Easy, comfortable, super clean, & fun. Super tavern and a pizza place one end of the street and fantastic Annunciation restaurant and Richard III the other end. Warm welcome and excellent suggestions from Allen for restaurants & bars. We very much enjoyed our stay. Sam and Mrs. Pat were very accommodating and made us feel very welcomed. The house was well-kept, clean, and slept 6 comfortably. 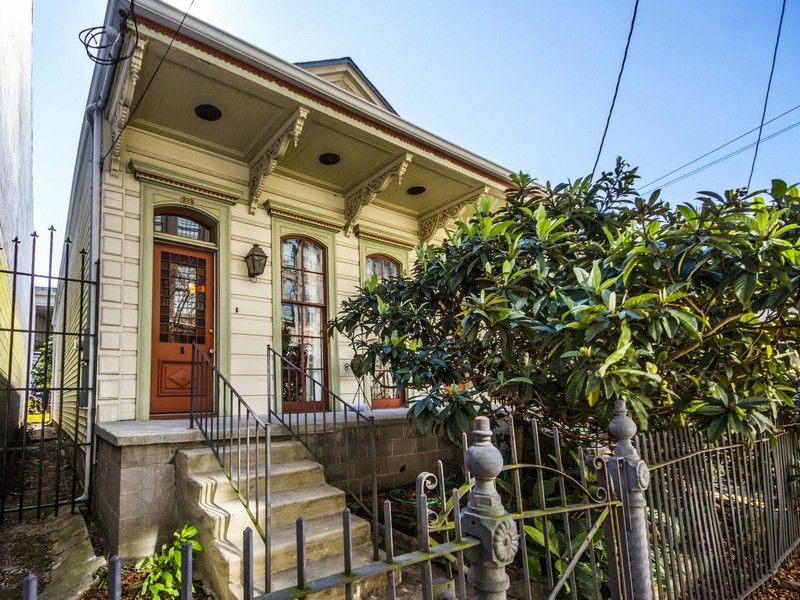 The location was ideal for us being close to the quarter as well as mardi gras world, easy to walk. Would stay again! The home is very well decorated, cozy and is within walking distance to many restaurants and attractions. We were very displeased with the home only having 3 bedrooms, but was advertised as having 4. We needed 4 bedrooms. This caused some issues with privacy and created some unnecessary stress and friction. This affected our whole trip. We also were not satisfied with the wifi- in todays world with everyone having smart phones/laptops/ipads ( we had 5 devices) this was a issue. Our phones just kept buffering :( We also were disappointed with basic cable: no ESPN, FSSW, TNT, etc. We would stay again with a smaller group and service upgrades. We are so grateful you would return and stay with us again! Thank you! We strive to make each guest feel comfortable by providing a personal Orientation to the property on arrival and typically a post first night follow up courtesy call to address any questions or concerns. Something very few in the hospitality business would perform. I am sorry your concerns were not presented during these two opportunities. We strive to resolve any issue with notice. In fact, our same day arriving guest as your departure brought the wifi to our attention. It was immediately addressed and resulted in ATT replacing the entire system promptly and efficiently while our guest were attending a festival. In fact, we took the opportunity to wash towels/linens and emptied trash! YES, today's world requires fast effective internet connections and we know that it is important! With so many sports bars and restaurants in the area (some within the same block of our address), it is hard to compete (home cable/satellite services) with local venue’s wide screen televisions/food/fun and music. Our home is within walking distance to so many festive places - from high end sophisticated to local smaller venues - I wish I would have known this was an issue - I could have provided so many suggestions - there are literally establishments on just about every corner. These venues are so NOLA that the fun is endless. I am sorry the 4th bedroom - clearly described as the living room/bedroom/including providing access to a queen size air mattress is in our description was disappointing. We Never wish to mislead anyone and strive to clearly provide the description in detail. Historic properties do not always "fit in a box" with modern platforms; thus we attempt to provide details for potential guest to read and examine in pictures prior to booking. It was never intended to confuse anyone and we extend our apologies to you and your guest. I extend a personal invitation to you and your guest to "re-visit" and let us talk ahead of time to address your needs and concerns. In fact, let us make it worth your while! Again, I thank you for bringing your concerns to my attention, I regret they surfaced post stay. We have been entertaining guest in NOLA for years and know with notice, we can make anyone feel welcome and comfortable. Great location, very well appointed! Very well located, very well appointed, very attentive host! We were attending an event at the convention center and the house is about 2 blocks away, which was perfect! Mrs Pat met us early at the house to drop off our luggage since we arrived before check in. She was extremely helpful on the explaining where everything was stored and where the nearest grocery store was located. The house was spotless and had everything we needed for a wonderful stay. We had 5 adults staying and there was plenty of room. The house is also located 2 blocks from the WWII museum which is amazing. I can't recommend this house or the management enough. Thank you for the perfect home away. Vraiment rare! Une des trois seules maisons unifamiliales dans le district de l'Art! Situé dans le quartier des entrepôts du quartier central des affaires de la Nouvelle-Orléans. Vous avez trouvé la seule maison de style historique 'shotgun' single disponible dans le district. Entièrement rénovée par le propriétaire et un architecte primé, cette maison offre 4 chambres et 3 salles de bain complètes pour votre plus grand plaisir. Ressuscité de brûlures, la propriété de ce lieu unique 1860 a survécu et est devenu l'un des fusils de chasse préférés de la Nouvelle-Orléans comme présenté dans le livre intitulé du Centre de ressources de préservation »de la Nouvelle-Orléans Fusils de chasse favori». Notre maison bien-aimée et chérie a ancré la région et même été dénommé «Le Georgetown» de la Warehouse District. Montez sur votre porche privé pour une nuit de starlette Gazing (Hollywood aime ce hors zone de battement), la conversation, ou la réflexion. Mieux encore, frapper les rues et profiter de l'énergie d'une soirée de divertissement visiter les restaurants tout aussi chauds et délicieux célèbre et points d'eau locaux. Ce bijou est livré avec les commodités oh si standard de WiFi, câble, téléphone, fax professionnel de deux gros smart TV et d'autres locaux à bureaux. Notre maison a été l'hôte des partis d'événements, fêtes, et ceux qui cherchent à explorer NOLA tant pour les affaires et le plaisir. Facilement accessible, entrée privée fermée à quelques minutes de l'aéroport international Louis Armstrong et littéralement à quelques pâtés de maisons de l'Amtrack, notre maison offre un cadre privé unique du jamais vu dans la plupart des régions métropolitaines. Rates are subject to change until your reservation is confirmed. A phone number is necessary to call you and verify your Book It Now request. Thank you for your consideration. Rates are based on 8 guest. There is a $50.00 per night charge for the 9th and 10th guest. Registered guest must be present unless prior arrangements have been made.